Anarkali is famed Indian outfit of Indian women. This Model is invented of a long, frock-style top and features a lean fitted bottom. It is an extremely attractive style that is adorned by women located in Northern India, Pakistan and The Middle East. The Anarkali suit varies in several different lengths and embroideries including floor length Anarkali styles. Many women will also choose heavier embroidered Anarkali suits for wedding functions and various other occasions as well as traditional festivals. The Kameez of the Anarkali can be sleeveless or with sleeves range from cap- to wrist-length. Point a is 1/3rd distance of (1-4) from 1. Point b is 2.5” straight upward line from a. Mark 1.5cms both sides from point a. join from that mark to b. (0-1), (0-2), (0-3), (0-4) = 1/6 waist. (1-x), (3-y) = 2 cms inside. (1-x), (3-y) = 1/4 hip – 2 cms. For Border: Measure along the hem line. Now you have 2 Pieces of Anarkali (Front and Back bodice) 2 Pieces of Sleeve (Right and Left) (Click HERE for petal sleeve draft & instructions) and 1 circular skirt piece. First finish the dart lines both front & back bodice. Click HERE to Refer Straight Kameez sewing instruction to finish Neck line, Sleeve attachment and shoulder joining for Anarkali bodice. Next we are going to attach the skirt part to the bodice. 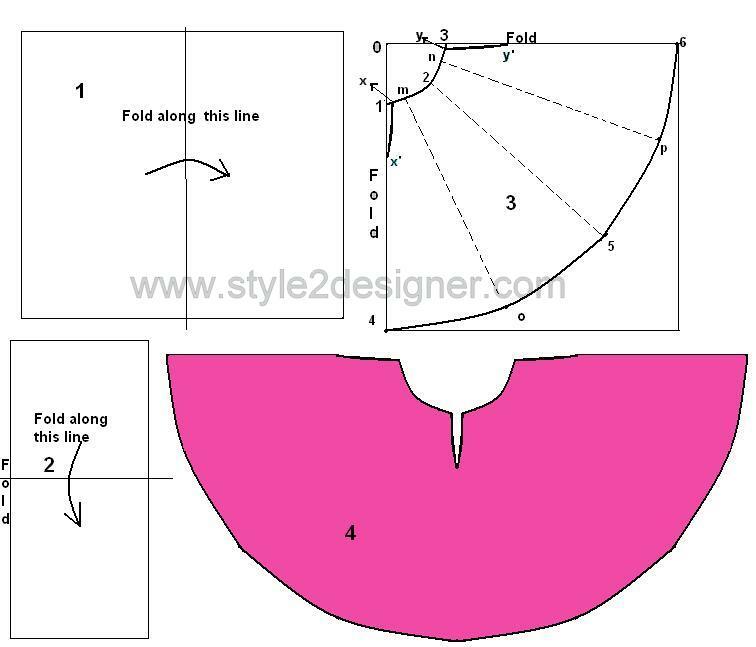 Click HERE to refer sewing instruction of this skirt part and attaching border on hem line. Avoid the Waist band instruction and side seam joining from the above link (if u are following the instruction of skirt draft, skirt doesn’t have any side seams, there is only darts). 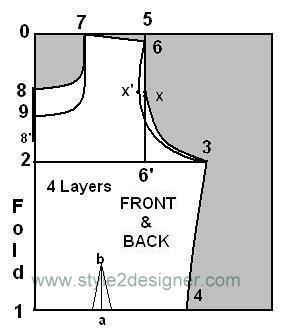 Note: If you want to finish hemline with out border, fold the hemline ½” inside and fold 1” again. Then sew along the edge of first fold on hemline. 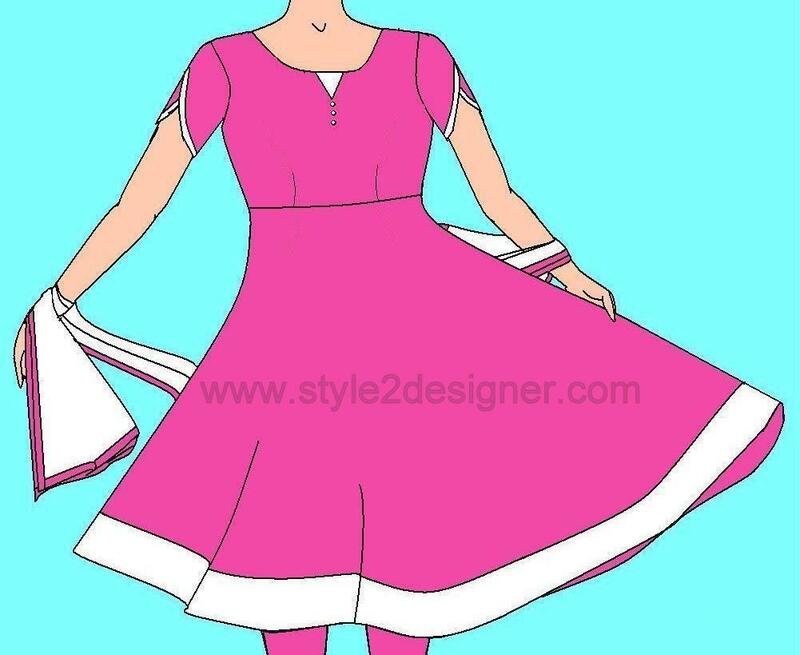 Now your Circular / Umbrella Anarkali is ready…..
Thx for the tutorial Ezhil 🙂 Grt Job pa, skirt part is little bit confusing pa , its a panel umbrella skirt or normal umbrella pattern can u pls clarify it pa.
That’s normal one dear.. I mentioned cross lines in draft are help to draw a perfect hemline.. Just ignore the dotted lines. your explanation was superb. but i need drafting and sewing method for circular lehenga and can u tel which material will suite perfectly to sew lehenga? Hi.. dhara.. there are lots of materials used for lehenga sewing but we have to chose light weight material for circular lehenga and medium and heavy weight material for kali lehenga.. Thank.. u… Arthy… u can join Style2designer FB Group to connect with our blog. do u mean the front length and sides are vary? if it is.. make sure about the measurements of skirt portion. (1-4), (2-5) & (3-6) should be same. i just want to ask you that how many meters cloth i will be needed to sew 50″ long anarkali suit (with bodice)? Thanks for mention Nisha…. I will try that in my future tutorials..
Hi.. Harsha.. Material requirement depends upon the measurements. for grown up girls (Length of anarkali approx. 46″) you need 6mtrs of each material. It may vary with individuals. Really excellent mam…. got a very clear idea as a beginner….. Thanks Gayathri.. All of my posts are simple especially for beginners. I am a beginner and I found your blog easy for people like me. Thank you so much for that. Could you pls suggest if i will b able to stitch a circular umbrella anarkali with a silk cotton material that i have with heavy border and it is 2 1/2 mts. I am attempting to make a lehenga for my granddaughter who will be wearing it for her six month celebration. I am American and can not find a pattern. Her Aunt gave us the material, but I am nervous about cutting into it. Can you please help me? Really your tutorials are very useful and any one can sew…clearly explained..expecting more tutorials on different types of sleeve construction…hats off for ur well explained teaching.. 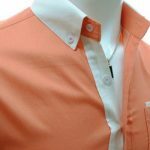 I wanted to learn sewing , do u have any suggestion in bangalore. U explained very well but little confused .Can u explain about 1-x & 3-y for what ? 2cms inside ?